Fire Starter. 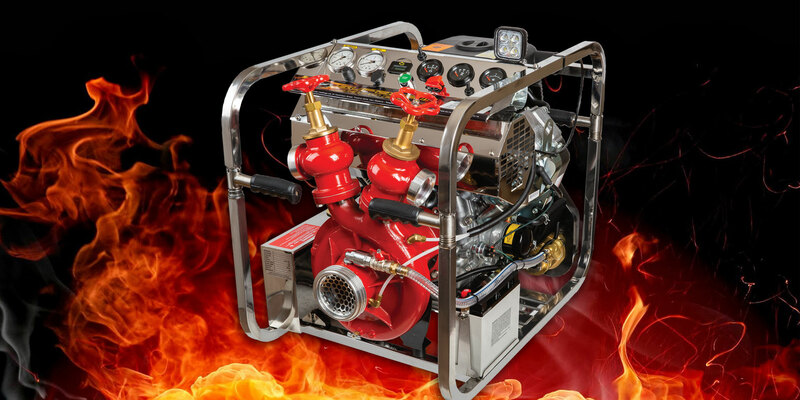 A new twist on fire pumps see Phoenix Firepumps flourishing in a niche international market. ‍Keith Newman visits the innovators of Tikokino. 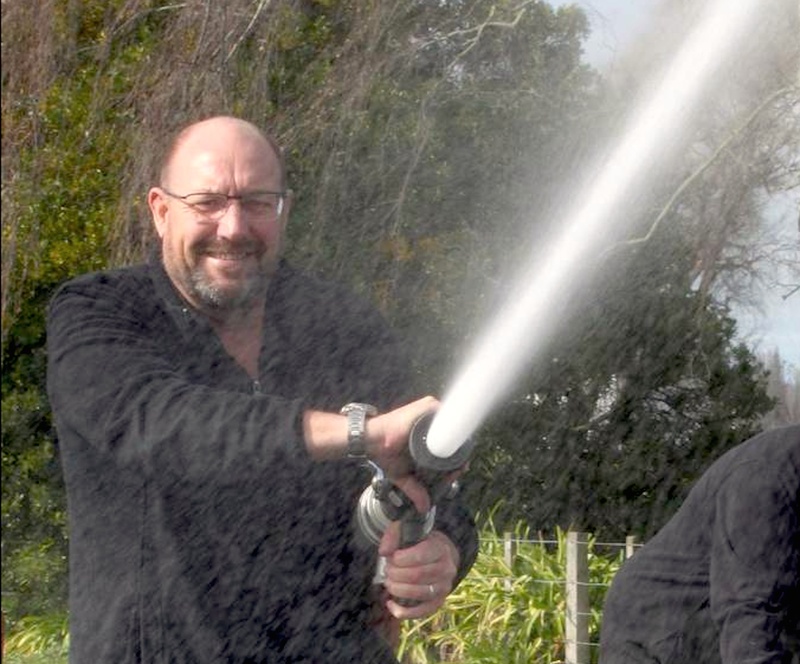 In a workshop in blink-and-you’ll-miss-it Tikokino, in the backblocks of central Hawke’s Bay, Vortex Holdings builds pumps for the entire New Zealand Fire Service. Not only that, the company has around 70 percent market share in the UK and a growing foothold in Europe and Asia. Regardless, winning the New Zealand market was relatively simple because he only had to convince one governing body, but the British Fire Service required a lot more legwork, with 50–60 fire brigades all funded by various councils with different standards and requirements. But it was still a natural fit as the New Zealand Fire Service is based on the British model, uses similar equipment and there’s a common pride in the upkeep of their machinery. “One thing about the UK brigades is they always like things bright and shiny so they can polish them up. That’s why most of our stuff is made of polished stainless steel,” says Harrison. Several thousand of the $8,000–$9,000 units have been exported from his Tikokino workshop over the past 12 years. While he’d prefer to have fewer models (there are currently nine), innovation has been essential to keep ahead of the curve. 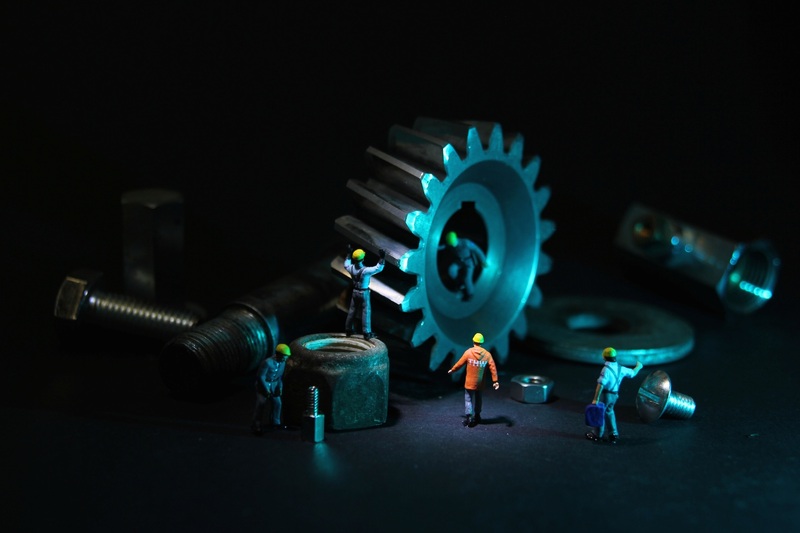 Many of the pumps the company sold in its early years are now due for replacement, so it’s a good time for Vortex Holdings—the ongoing R&D to keep ahead of market trends means it’s prepared for the next wave of demand. It involved some serious soul searching, however. Just two years ago Harrison was convinced his business was recession-proof but then the brakes went on for UK sales. Fortunately he’d been diversifying into the Asian market and when the oil industry in Indonesia—specifically Shell and Petronus—took an interest in his high-end fire pumps there was a great sigh of relief. The uncertainty caused by the ever-fluctuating dollar and the high cost and delays in importing essential parts added to the dilemma. Because Vortex Holdings doesn’t buy in bulk, it is often at the bottom of the list for importing four-cylinder diesel engines, for example, which can take six months to get into the country. Harrison decided the logical way forward was to outsource pump manufacture to his French distributor, which already supplies a key component, and for the Tikokino workshop to become the global R&D centre. Vortex Holdings will continue to manufacture for the local market and build full prototypes of new models for export, as well as machining the pump ends and castings from a supplier in Dunedin to deliver in bulk by sea for final assembly in the UK. Harrison will set up the computer-based production lines in the French factory and further automate his own Tikokino workshop with vertical machining lathes and routers, which will run all day if necessary to “spit out pumps by the thousand”. That way he can concentrate more on “the secret stuff ”. 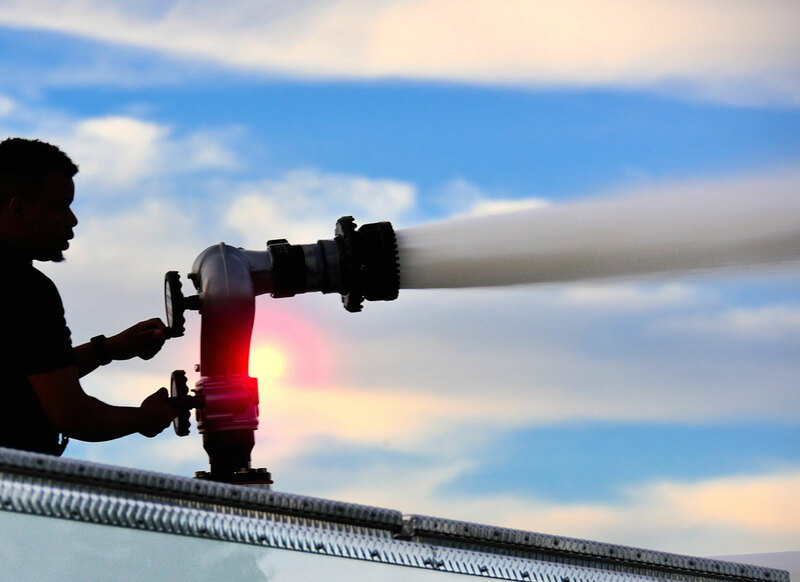 One of his best-kept secrets was outed in June when he launched the Combi-pump in Leipzig, Germany, at Interschutz, the largest fire show in the world. He believes the combination single-engine portable fire pump, generator and pressure fan with different clipin, clip-out tools will hit the market at the perfect time. Aware that “90 percent of all ideas have already been thought of”, he consulted the US Patent Office database to see if anyone had staked a claim in the combination pump space. He did find a similar concept but the patent had lapsed. While his point of difference—the way the system interconnects the units and drives—was significant, he didn’t want anyone thinking he’d pinched the idea by reapplying for the patent. When Idealog visited Harrison, he had completed a visual 3D working model of his Combi-pump design in SolidWorks and was awaiting the components. American small engine maker Kochler has offered several engines free of charge to assist with the prototype. He has however declined its investment proposal because he knows he’s onto something. “I think there’s a huge market if it’s sold right. It fits snugly into the trend for compactness, replaces several items of equipment and could cut costs on each fire truck by around a third.” Currently three engines are used for different tasks costing up to $12,000 in total. 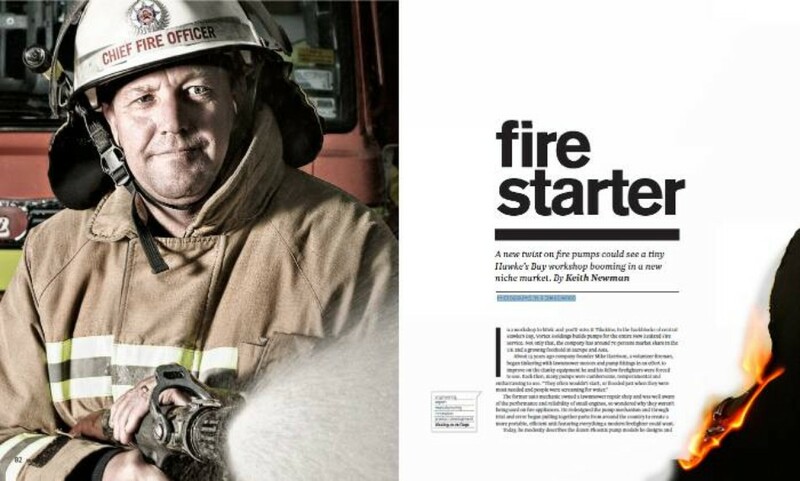 Harrison says there’s a good business case for fire services to switch to his Combi-pump, not least because the current approach is downright wasteful. Outsourcing closer to the export markets significantly lowers distribution costs and delivery times and will also liberate Harrison to pursue his passion for creative engineering: travelling around the world, talking to firemen and fire departments and continuing to improve on his designs. And after 26 years with the Tikokino Fire Brigade, the past six as fire chief, Harrison is still primed and ready. When the siren sounds, about 50 times a year, it’s a short sprint across the road to the fire station. “It keeps your hand in,” he says.